Though most of the students do not associate math with fun and equations don’t get most people excited, there are some ways that can help math students see the more interesting side of the subject. So if you are one of those who believes that math is boring, we provide you with the top best free math tools that can provide you with a new way of looking at it. All the tools mentioned in this article are aimed to help math students and teachers to add some fun to this beautiful subject. Below is a list of some very useful math websites. If you are looking for the way to make the learning of math more exciting and interesting, try Aplus Math that features free math worksheets, math games, math flashcards, and so on. This resource will be useful both for teachers and students. To learn mathematical concepts with ease, you can try Math TV – a platform that features a wide range of math videos. Note that all of them are browsable via topic or by the textbook. For young students, those from 5 to 14 years, there is a wonderful source called AAA Math. It provides thousands of interesting arithmetic lessons and unlimited practice. AAA Math is considered to be one of the best ways to master the concepts of math. The main idea of Math’s Fun is to make the lessons of math more enjoyable for students. The best thing about Math’s Fun is that is is an absolutely international source of knowledge. It contains lessons that were developed by the best math teachers throughout the world. Dealing with fractions is not the easiest thing to do. This absolutely fantastic Online Whole Number and Fraction calculator allows you to add, subtract, multiply and divide fractions with one click. The Ten Marks is aimed to provide students with information on every math problem. So if a student is not sure about a proper understanding of this or that topic, Ten Marks provides video lessons that help to review the content quickly. There are more than 170 free interactive math games offered by Maths Frame. Furthermore, there is a new game every week! Lessons are designed to help students visualize numbers, patterns and numerical relationships in order to develop their mathematical thinking. The SMILE uses a phenomenological approach to help students of elementary and high school enhance their learning of maths and science. 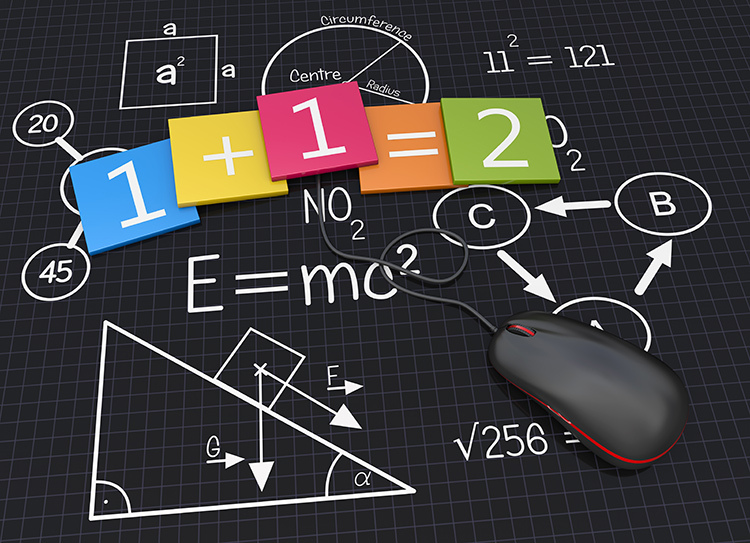 The math forum is the best place to find all information about different mathematics topics and lessons. The source sums up information that comes from a community of teachers, mathematicians, researchers, students, and parents who use the power of the Web to learn math and improve math education. On the forum, you will be able to find everything you need to improve your mathematical skills, starting from online puzzles to online mentoring. The source develops quickly, as well as it shares lots of ideas and acquires new skills. Love the Simpsons? So why not to let them help you with the learning of math? It will be fun, we promise. The source contains over a hundred instances of mathematics ranging from arithmetic to geometry to calculus. If you want to help your child to learn math with the help of math drills, try SuperKids. Superkids allows creating a worksheet in accordance with your requirements. All you have to do is to select the type of problem on the website, to select the maximum and minimum numbers to be used in the problems and click to get the printable worksheet. If you are a math geek or just want to improve your knowledge of theoretical math, there is a great source – Math Words. It is a kind of interactive math dictionary where you will be able to find math words, math terms, math formulas, pictures, diagrams, tables, and examples. If you are looking for a source that provides mathematical lessons and offers assessment resource, try MATHguide. It will help you to learn the math lessons you are interested in and to go through quizmasters to get an assessment. The website is one of the best for creating worksheets for students. So if you are interested in creating personalized worksheets on different topics, it will meet your requirements.